Today is a giant cook-athon! I am going to start this post with an idea of what I will be busy with. I am also going to make two types of soup today. One is a butternut squash soup. Yum yum yum yum! It is a recipe I have been making in bulk and freezing once a month since October, I can’t get enough of it! 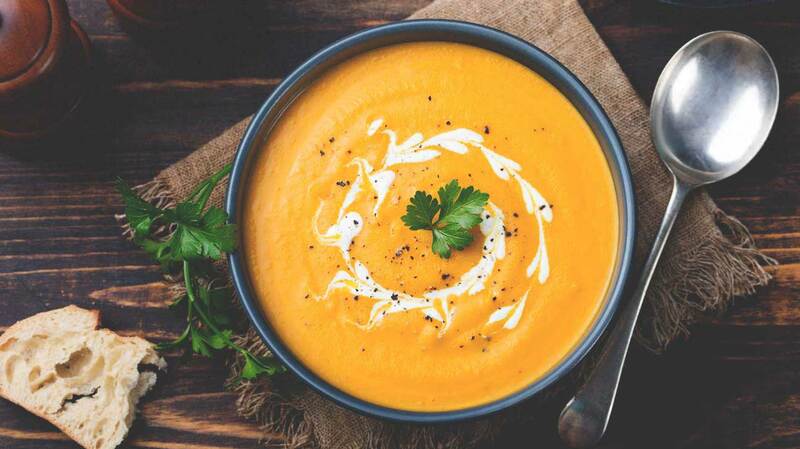 It is very cold at the moment here in England, and I think there is another week of cold cold weather ahead – having yummy soup to help warm your cockles is a very good idea. I am also making roasted beetroot and garlic soup. 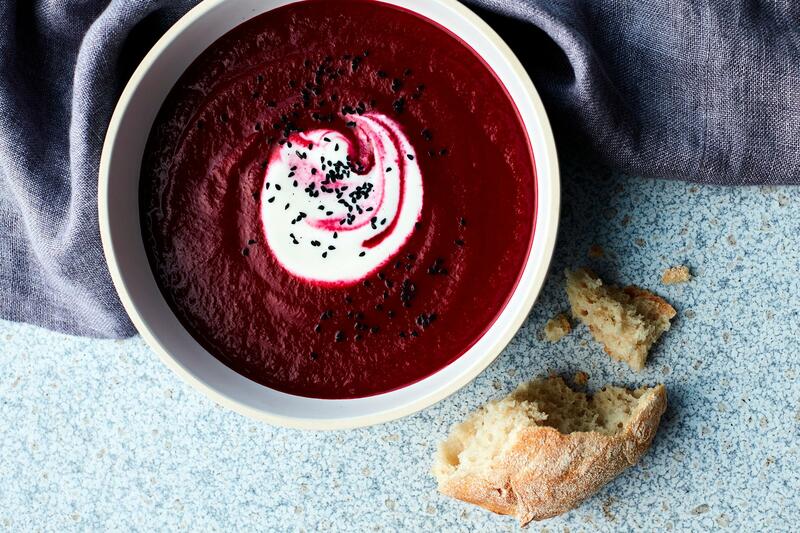 If you like beetroot, this is a delicious soup. I must admit I have went off beetroot for years – because at school it was a veniger soaked slice of strangeness, But in recent years I have rediscovered beetroot and it has livened up my dairy-free vegetarian cuisine a lot. I am making a chicken dish as well. 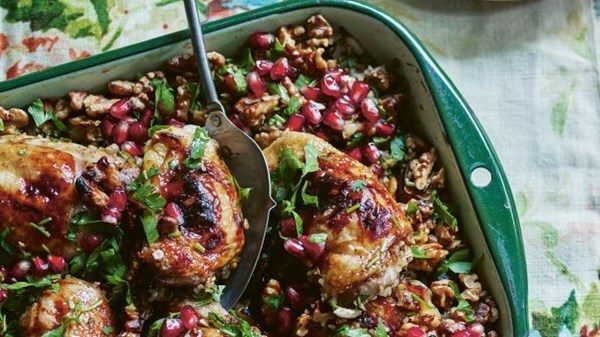 It has aubergine (egg-plant) walnuts, buckwheat, orange-zest, pomegranate molasses all over the chicken and once it has been cooked, fresh parsley and pomegranates. Yes I am a vegetarian who cooks meat for other people. I am going to put all of the chicken dish straight into the freezer thought. I have lots of house-work to do at some point too. I was so ill last week, I only gave my little nest a light going-over. This weekend, it needs a more thorough clean. I love cleaning so, it will be a pleasure. All this wholesome activity to occupy me – which is good because, I have something on my mind…but am going save that for another post. Everything looks wonderful! However, those stuffed peppers … I love stuffed peppers! I love this recipe – I think it is from Jamie Oliver. The combinations of ingredients in the stuffing is delicious! Can’t wait to try it 🙂 Thank you for sharing! Great to see your comment. I am sure Turkish pizza would be so much more yummy than any of the soup or other things I am making! Time flies! 🙂 Thank you. Though I am a foodie only as far as eating. Best part of being a foodie is the eating Tanya!